IMCDb.org: 1977 Peugeot 504 Estate L in "Xtro, 1982"
EDIT: Break in the UK? 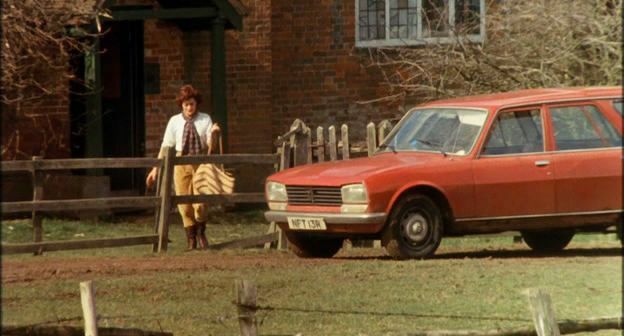 No chromed window frames, small engine: L. Was the name Break used in GB, or rather Estate ? There are 7 504 Estates listed all British so I assume they were called Estates. I don't think anything has been sold as a Break here though I could be wrong (we have had Safari, Pallas and Famillie here IIRC). But was there an "L" in wagon form BTW? I've just started to have doubts and in fact have some troubles to confirm its existance... I think they all were Commerciales with this trim (or export name).